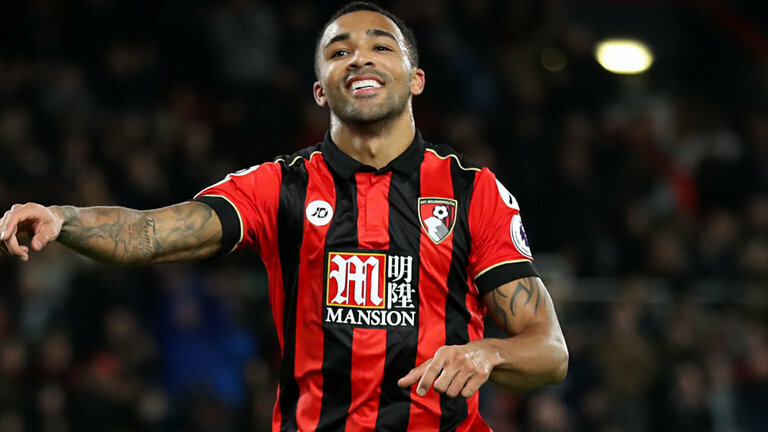 Callum Wilson decided to remain in Bournemouth despite Chelsea interest. It is terrible news for the Blues as they need a new prolific striker to strengthen the attack. England international is the best option in this situation as he has a fantastic campaign and paid attention. Everton and Liverpool are also interested in signing him, and there will be a contest for the player. The 27-year-old striker joined the English club from Coventry in 2014 with a £4m deal. He is one of the best centre-forwards in the Premier League and a key figure for the club. In this season, English attacker already played 29 games, scored 13 goals and made nine assists in all tournament. It is an impressive result, and he can do much more with high-class partners. Wilson has contracted with the Cherries until 2022, and his release clause is nearly £30m. His price could increase and become much more during this campaign. Callum regularly plays in the Three Lions squad which is already a significant achievement for the footballer. Blues have an excellent result in the Premier League as they are in a fourth place in the table and have a big chance to get the Champions League ticket. London club also won the Europa League first quarter-final match against Slavia Praha 0-1 and have the opportunity to reach the semi-final. Chelsea signed several footballers last summer like Kepa Arrizabalaga from Athletic Bilbao, Mateo Kovacic from Real Madrid and Jorginho from Napoli. English club also added Borussia Dortmund winger Christian Pulisic and Juventus centre-forward Gonzalo Higuain this winter. Copyright © 2019 Balkan Talk All rights reserved.